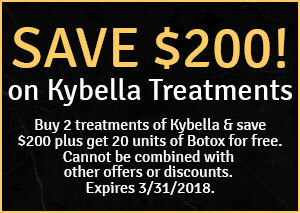 KYBELLA® is the first and only FDA-approved injectable treatment to improve the appearance of moderate to severe fat beneath the chin by physically destroying fat cells. Submental fullness due to fat beneath the chin can impact a broad range of both male and female adults. Some possible causes are genetics, weight gain, and aging. When injected into the fat beneath your chin, KYBELLA® destroys fat cells. Once destroyed, those cells cannot store or accumulate fat. The active ingredient in KYBELLA® is deoxycholic acid, a naturally occurring molecule in the body that aids in the breakdown and absorption of dietary fat. Fat cleared from the treatment area is processed through your body’s natural metabolism. THE PATIENT AND ANY OTHER PERSON RESPONSIBLE FOR PAYMENT HAS A RIGHT TO REFUSE TO PAY, CANCEL PAYMENT, OR BE REIMBURSED FOR PAYMENT FOR ANY OTHER SERVICE, EXAMINATION, OR TREATMENT THAT IS PERFORMED AS A RESULT OF AND WITHIN 72 HOURS OF RESPONDING TO THE ADVERTISEMENT FOR THE FREE, DISCOUNTED FEE, OR REDUCED FEE SERVICE, EXAMINATION, OR TREATMENT. 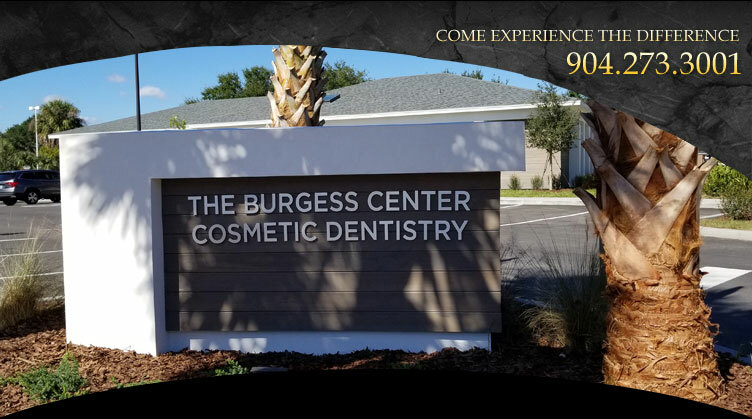 D9999 TMJ and aesthetic treatments, Dr. Eric Burgess DN14265. Expires 3/31/18.